For a lot of folks in town, Easter is about much more than bunnies with baskets and chocolate eggs. 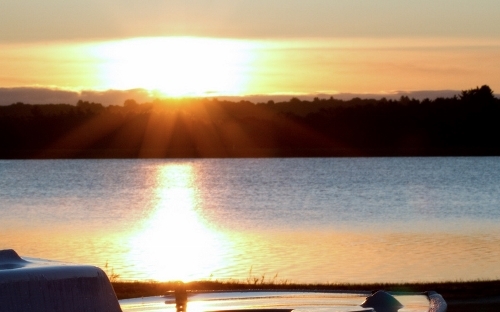 For those of you looking forward to starting off the day on a spiritual note, town churches are holding their annual sunrise service. 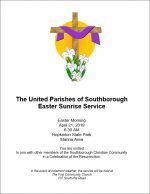 The United Parishes of Southborough welcome everyone to participate in the Easter morning sunrise service at Hopkinton State Park on Sunday, April 21. The service starts at 6:30 am in the marina area of the park. 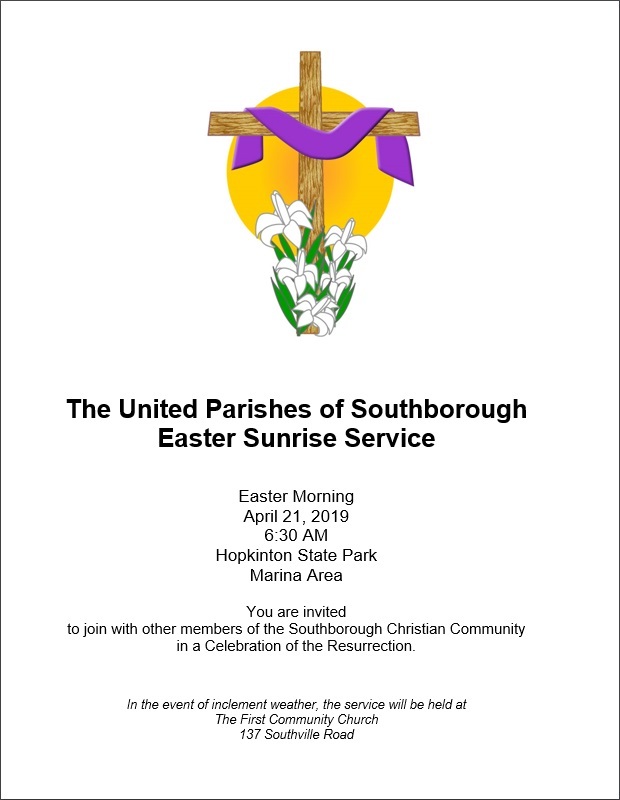 In the event of inclement weather, the service will be held at The First Community Church, 137 Southville Road. As always, St. Mark’s Episcopal Church (27 Main Street) is promoting Holy Week Services leading up to Easter. Those begin with Palm Sunday (this Sunday, April 14th) and include special services on Maundy Thursday and Good Friday. You can find details on their website. This year, St. Matthew’s has posted a schedule for it’s Holy Week services. It covers Holy Thursday, Good Friday, and Holy Saturday. You can find their details here. And First Community Church’s website describes their special service in honor of Maundy Thursday here.